The Churchill Hotel is a historic hotel with fine dining near the centre of York. After undergoing a massive renovation The Churchill team decided they wanted a modern, crisp looking website to reflect the stylish new decor, and increase bookings. We redesigned and built the site from the ground up, integrating their pre-existing booking software, and upgrading a number of features from the old website. This website looks fantastic on any device, and its user focused structure, with plenty of ‘calls to action’ was implemented to increase booking conversions. 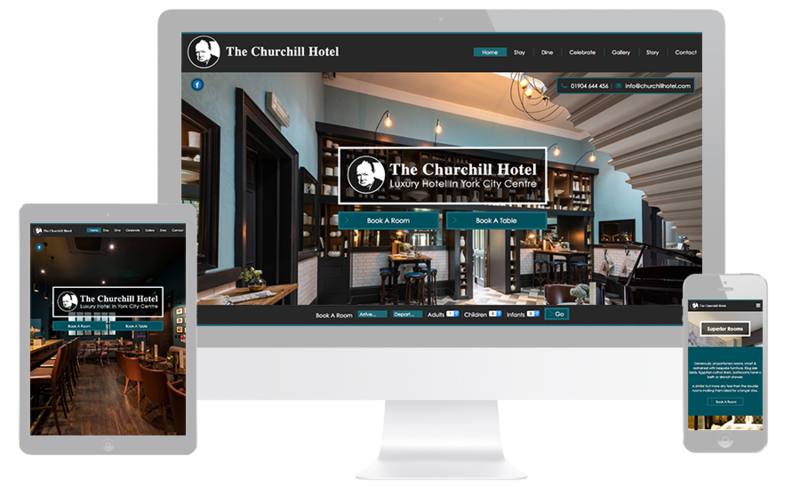 The new site was launched alongside a PPC campaign managed by the hotel, with great success.